'Forget the Rules of Golf! Dan Jenkins got into some hot water recently with his not-so-veiled 'fake' interview with Tiger Woods in Golf Digest. It is always tough to try to make a point with sports analogies. Something always doesn't line up exactly. However, President Obama's obsession with playing golf during his presidential terms provides a pretty good backdrop to try to put his executive order on immigration into something more people can understand than the arcane nuances of constitutional law and immigration policy. The Rules of Golf are sacrosanct to any serious golfer. Violating them is the worst thing you can do. Professional players regularly call 1-or-2 stroke penalties on themselves when the ball imperceptibly moved upon addressing it that even the caddy right next to him/her did not see. Golf is just 'different' that way. People who love the game love it because it brings out the best of us...when we play by the rules, for better or for worse. 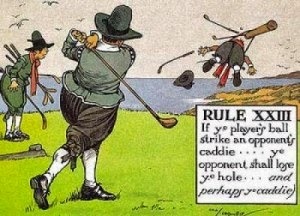 'Constitutional law' is similar to the Rules of Golf. 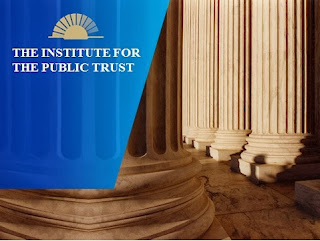 The Founders wrote them with every hope and intention that the elected officials who followed them would: A) Read them first; B) Understand them second and C) Abide by them for the good of the nation. A United States of America without laws and regular order, proper constitutional procedure is not going to be 'The' United States of America for very long. Walter Dellinger of the Duke Law School, and a long-time Democrat legal counsel to various Presidents, has written a defense of Obama's executive action that Slate Magazine chose to title 'There's No Legal Basis For The Belief That Obama's Immigration Order is Controversial'. Written like a true lawyer. Note the word 'legal' before basis. There is a difference between something being 'legal' and 'right' you know. Sadly. Of course Mr. Dellinger is going to defend a Democrat President in the White House with 'legal' jargon. Of course there is. It is silly to think otherwise. As long as there is an opposition party running the US Senate and Congress, anything any POTUS does will be 'controversial'. 'The President proposes; the Congress disposes' goes the old saying. That is the very shortest way of saying that the Founders wrote the Constitution with the Legislative Branch being Article #1 because they wanted the power of the people to make important public policy decisions such as on immigration to reside in a raucous, fractious group of 435 people in the House and 100 in the Senate rather than rest solely in the power of one man sitting on a gold-plated throne with a crown on his head in the White House. 'Who says? You may say that and the Rules of Golf say that but I am President of the United States of America and I say that I can move my ball out of the sandtrap if I want to. 'Not if they don't do exactly what I want in the first place as they write legislation. Why bother with them when I am going to veto everything they want to do in the first place? Ronald Reagan wasn't a Caesar. No US President should ever be a Caesar. There is a movement underfoot by the left to try to equate what President Obama is about to do with the stroke of his pen issuing a presidential executive order ('proclamation' is more like it) to allow up to 5 million undocumented immigrants to stay in the US without fear of deportation with the executive actions taken by both President Reagan and President George H.W. Bush 41 in the 1980's. They are as different as apples and oranges. Both are fruit but very different, yes? This is an important lesson for people who want to know how our constitutional democratic republic should be run as opposed to how some people think it should be run. First of all, the executive actions taken by both Republican presidents were to mop up some of the cracks in the Simpson (R)-Mazzoli (D) Immigration Act of 1986 that were not adequately dealt with during consideration and passage of the bill in Congress. Note one thing right off the bat: Senator Alan Simpson of Wyoming (yes, that same Alan Simpson who worked with Democrat Erskine Bowles to put together the Bowles-Simpson deficit-reduction package) worked in a bipartisan way with Democrat House Member Ron Mazzoli of Kentucky for years to get this bill passed in 1986. Yes. Bi-par-ti-san. Passed the Democrat House by 238-173. Passed the Republican Senate 63-24. Signed into law by Republican President Ronald Reagan. You know. 'Just like in the good old days'. Still, the straw that stirred the drink was the legislation passed by the People's House FIRST, the US Congress and then conferenced and concurred with the Senate in regular order. NOT the executive action by one man in the White House. That is what kings or czars have done in history. Pass a proclamation...and expect the Roman Senate to concur with it just because the Caesar says so. That is most definitely not the way our Founders wanted America to be run. If anything, their view of government was to have the executive do what they told him to do through legislation, not the other way around. The second thing to notice is how Presidents Reagan and Bush 41 worked with Congress to get a bill through that they would not veto...and waste all that time doing something for nothing. We thought about going through the legislative history since we were up there in 1986 and try to explain why Ronald Reagan's executive actions were nowhere near the sweeping scope of what President Obama is about to proclaim (er, 'issue an executive order') on immigration. And then we found the following blog post titled 'Just Bunk' which we found to be quite good and better than what we could have come up with. This guy (no name or contact information given) is clearly in the tank for President Reagan and all things Republican. However, we could not find where any of his facts or stats were incorrect based on our knowledge of how this immigration reform effort worked its way through 'regular order' (again, something many people, especially young people have not seen in the past 6 years since the Senate was under the thumb of Majority Leader Harry Reid who protected his Democrat Senators from voting on almost anything controversial over that time including passing an annual budget) in 1986. 1 thing jumped out at us in the summary of the bill: The clear and common-sense way that members of both parties dealt with the tough issue of incorporating the undocumented immigrants in the US for a number of years in a way that still accounted for the rule of law in a compassionate manner that didn't tear families apart, parents from children and vice versa. We did it then in 1986. Seems to be a template going forward for some sort of immigration 'Grand Bargain' in 2015, yes? But it won't happen if President Obama tucks his head down and charges into the line and issues his presidential proclamation (executive order) without any regard to the legislative process in Congress. You want to see gridlock on everything for the next two years? Then watch President Obama sign this executive order. It will be a mess on Capitol Hill. NO, RONALD REAGAN DID NOT GRANT AMNESTY. NEITHER DID BUSH. Propaganda: GOP Hero Ronald Reagan granted amnesty! Republicans are hypocrites! Obama should have the same rights as Reagan! The Immigration and Control Act of 1986 was a law not an executive action. The Immigration and Control Act of 1986 was drafted by Rep Romano L.Mazzoli (D) and Sen Alan K. Simpson (R). In other words, it was a bi-partisan action of the House and Senate. The Immigration and Control Act of 1986 granted Amnesty to illegal immigrants who entered the country before January 1, 1982, but it had harsh “control” mechanisms to make sure America didn’t have to face the illegal immigration problem in the future; said “control” mechanisms being firmly ignored in subsequent Congressional and Executive administrations. legalized illegal immigrants who entered the United States before January 1, 1982 and had resided there continuously with the penalty of a fine, back taxes due, and admission of guilt; candidates were required to prove that they were not guilty of crimes, that they were in the country before January 1, 1982, and that they possessed minimal knowledge about U.S. history, government, and the English language. Congress intended the Immigration and Control Act of 1986 to seal the border, stop future illegal immigration, stop future hiring of illegals, and make those here illegally pay penalties for their illegal entry. It insisted these new citizens possess knowledge of American history and speak the English language. In other words, it insisted illegals become “American”. Obama, driven by anti-American activists including La Raza, intends to grant amnesty with no conditions to pay penalties or make restitution, no requirement to speak our language or adopt our culture, and with no intent to secure our borders. And (and it’s a big “And”) – with no legislation. Reagan did not grant Amnesty. He signed a law passed by Congress. Obama, in defiance of Congress, is decreeing Amnesty by fiat. The Immigration and Control Act of 1986 gave Amnesty to illegal immigrants who were in the country prior to January 1, 1982. However, the law didn’t address family members who were in the country as of 1986 but not as of 1982. Reagan acknowledged that it would be immoral to deport family members of illegal immigrants who could pass the 1982 test. So, Reagan granted a deferral of deportation for children under 18 who were living in a two-parent household with both parents legalizing, or with a single parent who was legalizing under the new law. President George H. W. Bush recognized that family members over the age of 18, and in the same circumstances as the children above, needed the same protection. He provided it under the “Family Fairness Policy” direction to the INS, which was later codified into law by Congress in 1990 – less than four years after the original law’s passage. Where is Obama’s Immigration and Control Act of 1986, that “sweeping overhaul” (as Huff-Po describes it) of immigration law that was passed by Congress? He has none. Congress has not passed a law to amend Immigration in over 28 years. And as Congress has not passed new Immigration Law in 28 years, Obama is not “amending” anything. He’s writing new law on his own. He has no Constitutional authority to write law. This piece of liberal propaganda depends on you not recognizing the difference between a President taking action to implement a law that has recently passed and a President taking action to write a LawCongress refuses to pass. North Carolina has long been close to a 50/50 voting state when it comes to presidential, senate and gubernatorial elections dating back to 1980. Even in most congressional elections since then, at least, overall state vote totals for Republican congressional candidates have been close to 50/50 compared to votes received by Democratic congressional candidates when all the votes for all congressional elections are added up and tabulated. However, due to expert gerrymandering surgically performed on state legislative and congressional districts since Reconstruction after the Civil War, North Carolina Democrats masterfully maintained a stranglehold on the congressional delegation in Washington, DC and the General Assembly in Raleigh until 2010. 140 years after the Carpetbagging Republicans controlled the state after the Civil War and then were run out of the state on a railroad long about 1870 or so. The North Carolina congressional delegation had just 2 Republican congressman (out of 11) in 1980, Jim Broyhill and Jim Martin plus Senator Jesse Helms. The NCGOP had an average of 18 state representatives out of a total of 120 in the General Assembly during the 1970's heading into the 1980 elections. That is 15% for those of you scoring at home. The NCGOP had an average of 7 state senators out of a total of 50 during the decade of the '70s. 14% in the state senate. Looks like someone was doing a pretty darn good job of making sure the Republicans never got a firm foothold in North Carolina politics for a long, long, long time, yes? Didn't seem to be the case for the previous 140 years under almost 100% continuous Democrat control of every level of government power in the Old North State. In 1984, I ran for Congress in the 2nd Congressional District of North Carolina. The district was 'only' 91% registered Democrats. 42% of the district were registered African-Americans who were not counted as 'solid' GOP voters as far as I can recall. 9% of the registered voters in the entire congressional district of close to 550,000 citizens were officially registered as 'Republican' in 1984. Make it 10% when you add in the dead Republican voters down in the eastern end of the district. I seriously don't recall one single Democratic activist, candidate or incumbent anywhere saying that the redistricting that favored the Democrats in North Carolina for close to 110 years then (140 years as of 2010!) was 'unfair, cruel and wrong' in any way. And I am not sure I can recall any Democrats who came to my defense or the defense of any Republican in the 1980, 1990 or 2000 redistricting process and argued for fair and balanced 50/50 districts at the state or federal levels...or in any of the other decennial census re-districtings dating back to 1870 or so. So before we get too carried away with the tiny violins crying about how bad the mean old Republicans are nowadays, take a step back and look in the rear view mirror first. Regardless of what side you were on in the Kay Hagan/Thom Tillis Fight of the (21st) Century, so far at least, here's some background information that not many people realize when it comes to the North Carolinian senate delegation history in Washington, DC. Question: Over the past 73 years since the beginning of WWII in 1941, how many Senators has North Carolina sent to Washington (and brought back, pretty often, truth be told)? Thom Tillis will be the US 21st Senator from the Old North State. 2. How many US Senators have other states had over the same time period? South Carolina- 8. Smith, Hall, Maybank, Thurmond, (for the most part), Hollings, Graham, DeMint, Scott. Pretty easy to see that North Carolina has been a merry-go-round for US Senators relative to other states. Question: When was the last time a North Carolina US Senator has been on the all-powerful Senate Appropriations Committee (for any appreciable length of time)? Answer: 1931. Lee Overman. Served there for 21 years. 83 years ago. A lot. You may not know it but the committees these senators and congressman are on in Washington affect you one way or another depending on whether they are a 'power' committee or not. Did you know that North Carolina is the only Southern state that does not have a major defense manufacturing installation such as Boeing or Lockheed Martin? Did you know that North Carolina is the only Southern state without a major automobile manufacturing facility such as BMW in South Carolina or VW in Tennessee? There is a myriad of reasons why such companies have gone to other states ranging from tax climate, pool of qualified workers and tax incentives. But one of the most important things that other states such as South Carolina and Mississippi have done has been to elect and keep US senators in office long enough to get on Appropriations and then serve on the Defense Appropriations Subcommittee where all the major defense programs and materiel production are considered every year. Once a US senator gets on Defense Approps and steers a few defense contracts to their home states, then the level of training for defense workers goes way up in that state and other companies such as automobile companies can come in and poach qualified workers and technicians for their manufacturing facilities. 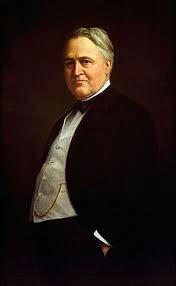 Based on the fact that North Carolina US Senator Lee Overman served on the Senate Appropriations Committee back when dirigibles were considered 'cutting edge' defense technology, it is a fair bet to assume that even if he was able to steer any defense work to North Carolina back then, it is in some museum somewhere today. You don't believe that having a US Senator on the Senate Appropriations Committee, Defense Subcommittee is not crucial to having defense contractors move to your state and then hire local workers at an average of $75,000-$85,000/year? Check out the defense contracting facilities in Alaska. 48th in population. #5 in terms of defense contracts received. No wonder. Senator Ted Stevens of Alaska served as Appropriations Chair forever it seemed. He also served as Chairman of the Defense Subcommittee for a long time before his death. Want to see how important seniority and leadership seniority positions are in the US Senate? Look no further than the Great State of Mississippi, which in case you aren't a college football fan, has now become The #1 State for Great Football In All The Nation all of a sudden. Senator Thad Cochran* was on the Senate Appropriations Committee and, with Senate Majority Leader Trent Lott, formed a powerful nexus for securing defense contracts for Mississippi. One story says that a defense contractor wanted to talk about their support for a program they wanted to build with federal dollars so they met in one of their offices. 'Where are you going to build this manufacturing facility?' asked the Two Senators. 'Where do you want it to be built, Senators?' answered the defense contractor lobbyist wisely. And 'Right There' is where a multi-million dollar plant was built, literally in the middle of nowhere. Today it is a vibrant, growing community with great schools, and educated and almost fully employed workforce and an average salary of $75,000-$85,000/year for the line workers. In the middle of Nowhere, Mississippi. You tell me if having a long-term serving US Senator on the Senate Appropriations Committee isn't important to the people of North Carolina. Even if you didn't support Thom Tillis for the US Senate, you might want to wish him well and long-life and tell him to get on the Defense Subcommittee of the Senate Appropriations Committee just as soon as he possibly can. He might just be able to steer a drone manufacturing company to the parts of North Carolina that desperately need new solid investments and jobs. Such as maybe 65 of the 100 North Carolina counties today. * Fun Fact For The Day: Both MS Senators Cochran and Roger Wicker hail from the same small town in Mississippi, Pontotoc which an Indian name that means 'Land of the Hanging Grapes'. Muscadines probably. Mr. Subliminal: We Don't Have A 'Political' Problem! We Have A 'Math' Problem! One reason why we think not a whole heckuva lot has gotten done on a bi-partisan basis since, oh, say about 1997, is that recent incumbents in the White House and leaders of both parties in the House and Senate have conveniently forgotten how our Founders set the 'rules of the game' at the beginning. Plus they have forgotten that the word 'compromise' is so deeply embedded in the US Constitution that our Founders didn't even see the need to write it down anywhere. It was just 'assumed' to exist in such a bicameral, joint federal-state, split legislative/executive branch democratic republic they wanted to set up. In short, Our Founders wanted to make it as difficult as possible for any one person or one faction to get 100% of what they wanted in any session of Congress. Getting 100% of what you want through any one session of Congress is like trying to run through a land-mined field with machine guns trained on you from both sides and trained snipers 1 mile away shooting at you. If you don't have enough protective outerwear and find cover pretty quickly with friendly allies and shelter, you are not going to make it even 50% intact when all is said and done. We think President Obama can do the entire nation a very useful service if he would become 'Mr. 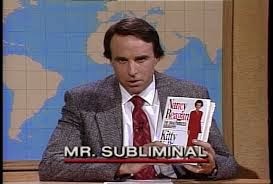 Subliminal' as Kevin Nealon used to do so masterfully on SNL when it was great, in his State of the Union speech in January of 2015 and lay out the 'rules of the game' that underlie our constitutional government for everyone to see at the beginning of the session. There simply is no way for Republicans to demand and get a complete repeal of Obamacare in this next session of Congress just as there is no way for President Obama to get any of his stimulus spending bills through Congress either. Those are just the cold hard facts as defined by the math of the Constitution. Not the politics or the policies of one side or the other. But, just as that sage old President Ronald Reagan fully understood and used when leading by example, both sides can get maybe 60% of what they want on their specific top priorities if they work together to do so and understand that no one is going to be 100% happy with the end results. After these past 17 years of poor, misguided and mis-thought out legislation or no action of any consequence on the big issues that face us, we will be thrilled with getting 60% and then hope a future Congress can come back and try to get the remaining 40%. Everyone should be, just to be honest about it. We must raise the minimum wage everywhere to $10.10/hour. I know it is not the 'most' important issue today but it is the best political issue I still have in my arsenal to use. We must address our budget deficits, although they have been gone down by 50% since I took office in 2009, and our national debt. not that I really want to but I can feel it in my stomach just like everyone else that this could get out-of-hand very fast and very easily and it is very scary. We must rebuild our nation's infrastructure with a massive federal investment program because this is one of the few things I know I can agree with many Republicans on. They like nice roads and bridges in their districts just like I do. Now, I know there are differences between us about how you 54 soon-to-be US Republican Senators and 251 GOP House Majority will want to solve these problems. I happen to believe in a more activist federal government emanating out of Washington, DC than you free-market minimalist government conservatives do. You believe in 'trickle-down economics'. I don't. Therein lies the rub we all have to face. if you want anything to pass on economic policies, give me 50% of what I want and 50% of what you want and we got a deal. No veto pen will ever see the light of day over the next 2 years. Let's be honest with each other. I don't control the legislative agenda any more and you don't hold the White House. I hold the very important constitutional trump card the Founders put in the US Constitution for all to see, the Presidential Veto. We don't have a 'political' problem. We don't have a 'philosophical' problem. We have a 'constitutionally-mandated MATH' problem, fellas! Basic addition and subtraction. Plain and simple. That's all there is to it. So let's say you want to 'repeal and replace' Obamacare. go ahead. Make My Day. The first thing you might want to think about is what you want to replace Obamacare with. because I sure as heck am gonna rally the troops on my side who have pre-existing conditions and current coverage and make it as difficult politically for you as I possibly can. If the House passes, and the Senate somehow navigates the 60-vote cloture process and concurs with, a complete repeal of Obamacare, I will veto it. simply because I don't think you can override my veto in the Senate with 67 votes or in the House with 290 votes no matter how large you think your majorities are today. Only 10% of all presidential vetoes have ever been overridden by both chambers of Congress so go ahead...knock yourselves out big fellas! I recognize that we have to further lower our budget deficits and somehow get a grip on this exploding federal national debt. I tried to work with Speaker John Boehner several times to do a 'Grand Bargain' of sorts on entitlement and tax reform only to come to an impasse over higher taxes and spending cuts when he went back to his Republican caucus and ran into opposition from the Tea Party members and Harry Reid and Nancy Pelosi put the kibosh on it from the left. I promise to work with the Republican majorities in the House and the Senate. especially since I am the only one who can't run again in 2016 and I know it. The time for action has come. and if you Republicans are really smart, you will work with me behind the scenes starting right now to craft and get a Massive Grand Bargain on Entitlement and Tax Reform. Let's pass it under normal legislative procedure in Congress through the budget reconciliation process that only requires 50%+1 of the vote in the Senate, not the 60-vote hurdle to shut off debate through cloture. A Democratic President and a Republican Congress is the only way we will ever deal with the tricky issues of Social Security and Medicare, fellas. Take a look at what Bill Clinton and Erskine Bowles did in 1997 with a Republican-controlled Congress and US Senate when they passed Welfare Reform and the Budget Act which led to the only 4 balanced budgets we have seen in America in our lifetimes! May God Bless America. This may be the only way I will get my face chiseled on Mount Rushmore but if history views me as the president who provided universal health care for all Americans AND brought the budget deficits and the national debt down like Calvin Coolidge did, I can live with that. That's the way things get done in Washington, ladies and gentlemen. The years heading up to 1980 were not great ones for America or incumbent Democrat President Jimmy Carter. Energy crisis; sky-high gasoline prices (up from $.35/gallon to over $1! ); rationing at the pumps on even-odd days; inflation at 12%/year; interest rates at 21%. And then....the Shah of Iran was overthrown and American hostages were taken for close to a year mostly because of President Carter's inept and weak foreign policy and military stances to that point. President Obama must have read the Carter playbook, yes? Former Governor of California Ronald Reagan was running not only to restore the American Dream and prosperity but also to restore America as the world's superpower in both economic and military strength. Reagan's war-hawkishness was downright scary to many people who could only envision his super strong support for GOP Presidential candidate Barry 'Extremism in the Defense of Liberty Is No Vice' Goldwater in 1964. And many young people were scared. Scared of Reagan pushing the nuke button willy-nilly. Scared of never being able to find a job in the moribund economy caused by President Carter's feckless policies. So what did some people choose to do? 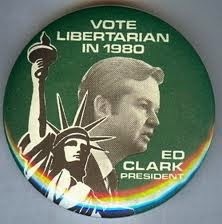 Who was 'Ed Clark Libertarian'? No one who voted for him knew anything about Ed Clark Libertarian. All they knew was they hated President Carter for his domestic and foreign policy failures and they were terrified Ronald Reagan would push the nuke button on January 21, 1981 after his inauguration if elected and turn Iran into a desert sheet of glass. A Vote for Ed Clark Libertarian, for them, was a matter of 1) principle and 2) protest against the 2 major political parties in America. What did it get those who voted for Ed Clark Libertarian? They failed to help elect President Reagan who only went on to rejuvenate the American economy in an economic and jobs creation explosion unlike anything America had seen since perhaps WWII when everyone went to work and had to in order to support the war effort. (Official unemployment rates fell during WWII to a minuscule 1.2%). 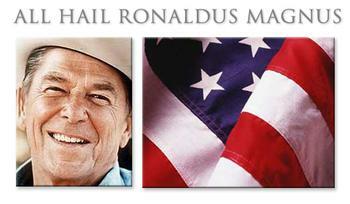 President Reagan also went on to defeat communism in Russia and Eastern Europe. Ed Clark didn't. 'Nuff said. Why do we bring this up today of all days? Simply because there is a movement on the right from normally sentient, sober and serious people to not vote for the Republican Senate Candidate in North Carolina, Thom Tillis who is running against Democrat incumbent US Senator Kay Hagan who was elected in 2008. All of those reasons make about as much as sense as voting for Ed Clark for President in 1980. Anyone has the freedom to not vote, just as they have the freedom to vote, assuming they are legal citizens and legally registered to vote in their election districts. But what does that really getcha? What does not voting really look like in the 'real world' as opposed to the Land of Oz, let's say? 1) Your team, Duke, has the ball and Tyus Jones is breaking away to the basket to score an easy layup and put 2 points on the board for the Blue Devils. But you don't like the fact that Tyus has not passed you the ball in the game so far so you run behind him and block the snowbird layup from behind. The other team, the hated North Carolina Tar Heels, get the carom off the backboard and, being good teammates who like each other immensely, pass the ball quickly down the court and score an easy two points for the Heels. That is not a 2-point swing, ladies and gentleman. That is a 4-point swing; the 2 pts you didn't get for Duke and the 2 other points that you gave to the Tar Heels by your action. The laughter of the audience and the sports announcers tell you all you need to know about just how ridiculous this really was. We could go on and on about how futile it is to waste a vote by not voting or by voting for some fringe candidate who may get 1% of the vote when all is said and done. If you really want to make a difference, run yourself and try to corral enough of the massive number of registered Unaffiliated Independent voters to get to 50%+1 of the total vote in the next Senate election in 2016 in North Carolina. 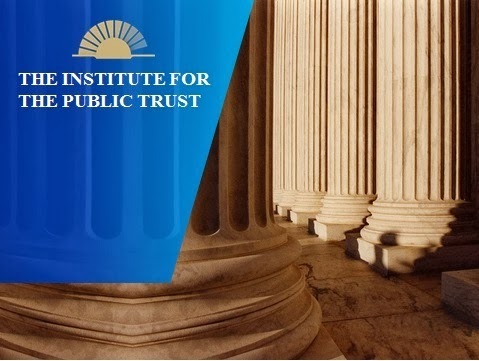 However, the majority of the registered Independents in North Carolina at least have done so precisely because they abhor the sort of doctrinaire inflexible stances by those of you on the right who declare you are the Only True Way to Constitutional Conservatism just as they abhor those on the left who declare that they are the Only True Way to Government Control of Everything. At least they are going to vote next Tuesday and make a difference one way or another. People who don't vote really don't count. It is their choice to make. Let them learn the error of their ways. Like the 'Ed Clark Libertarian for President!' voters in 1980. All 10 of them.